Qn = evaluateHeatRate(thermalresults,RegionType,RegionID) returns the integrated heat flow rate normal to the boundary specified by RegionType and RegionID. Compute the heat flow rate across a face of the block geometry. Specify the thermal conductivity of the block. Apply constant temperatures on the opposite ends of the block. All other faces are insulated by default. Compute the heat flow rate across face 3 of the block. Compute the heat flow rate across the surface of the cooling sphere. Create a sphere of radius 1, and assign it to the thermal model. Specify thermal properties of the sphere. Apply a convection boundary condition on the surface of the sphere. Compute the heat flow rate across the surface of the sphere over time. Solution of a thermal problem, specified as a SteadyStateThermalResults object. 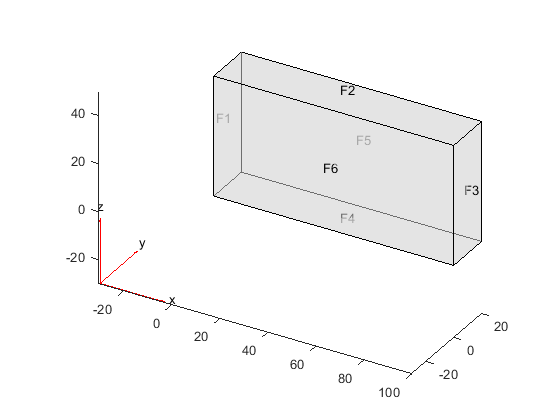 Create thermalresults using the solve function. Geometric region ID, specified as a positive integer. Find the region IDs using the pdegplot function with the 'FaceLabels' (3-D) or 'EdgeLabels' (2-D) value set to 'on'. 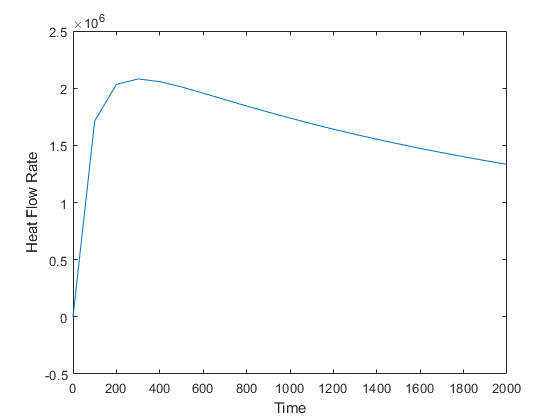 Heat flow rate, returned as a real number or, for time-dependent results, a vector of real numbers. This value represents the integrated heat flow rate, measured in energy per unit time, flowing in the direction normal to the boundary. Qn is positive if the heat flows out of the domain, and negative if the heat flows into the domain.